There is an in-depth application process in order to sponsor a partner to Canada. Here’s a short summary of what that process entails. 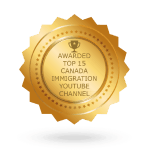 ● The partner who is already a Canadian citizen must first apply to become a sponsor. 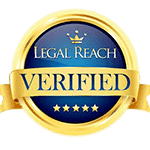 ● After the sponsorship is approved, the foreign partner must then apply for citizenship based on this sponsorship. There are times when a face-to-face interview with the sponsoring partner is required, though most of the communication with the immigration authorities will be written. There are times when the response from the immigration authorities is not positive and the application has been denied. While this is discouraging, there is an option for an appeal, though it’s important to keep in mind that an appeal must be made within 30 days of the receipt of the denial notification. The appeal should be made to the Immigration Appeal Division of the Immigration and Refugee Board. If you are appealing to the Immigration Appeal Division, you should be prepared to attend a hearing. This hearing may be in person or conducted via teleconference. ● Present new evidence that supports your case. ● Testify on your own behalf. ● Call on witnesses to support your stance. After the hearing, the IAD will make a decision about whether or not the denial was made legally and if it should be overturned. If the denial is overturned, your case will be sent back to be re-decided with the new decision notated. If the denial is upheld, you can appeal the IAD decision in a federal court, which can take anywhere from six months to a year. The appeals process, at the Immigration Appeals Division level or at the federal level, is not something that you should try to handle on your own. 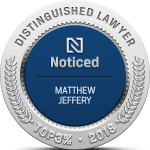 You will need the expertise of a lawyer who frequently deals with cases such as yours and who knows how to lead you through the process.